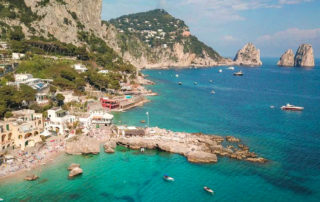 Tour Dates: Mid-March through Mid-November 2019 Price: €1275 Euros pp double occupancy Single Supplement: €250 Euros Our walking tour in the Amalfi Coast will take you to one of the most dramatic coastlines in Europe. 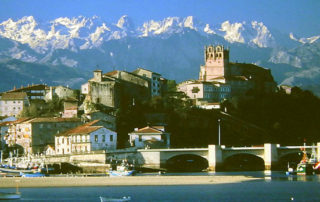 Mountains jut steeply out of the Mediterranean and picturesque towns are nestled in the coves below. 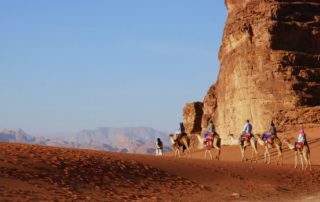 Tour Dates: 9 days, October 7 – 15, 2019 2019 Price: $3100 US pp double occupancy Single Supplement: $675 US A fully supported road bike tour of Jordan, we will visit the country’s main sites as well as several hidden treasures of this ancient culture. 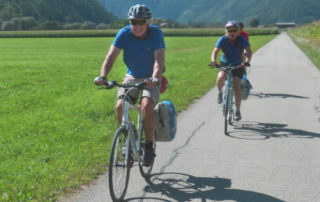 Tour Dates: June 9 - 17, 2019 2019 Price: €2680 Euros/per person double occupancy Single Supplement: €500 Euros * Accompanied by Chuck & Judy Nichols Using mostly cycle paths, this bike tour traverses gorgeous alpine valleys from Salzburg, Austria to Bled, Slovenia. 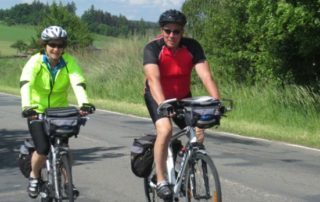 This cycling tour takes us through the majestic Alps, it includes three countries, we have a riding guide, a support van and it is a moderate ride. We offer guaranteed departures from Cusco several times per week from March 1st through December 31st. 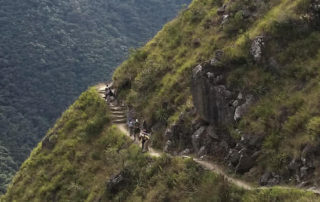 2019 Low Season Price: $2990 US / pp based on shared accommodation 2019 High Season Price: $3990 US / pp based on shared accommodation Explore the Salkantay Trail to Machu Picchu and stay in beautifully maintained mountain lodges in Peru with gourmet meals and comfortable beds. Our Machu Picchu Lodge to Lodge Trek in the Mountain Lodges of Peru combines adventure and luxury and is our most exclusive trek in the Peruvian Andes! 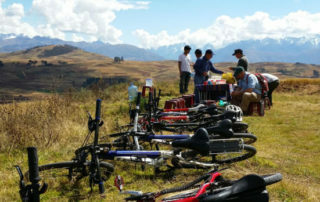 2019 Tour Dates: May 3 - 13 and September 6 6 2019 Price: $3150 US pp double occupancy Single Supplement: $350 US Our Peru Bike Tour to Machu Picchu has it all, breathtaking views of the Andes, spectacular Inca Ruins, awesome downhill cruising, Urcos floating reed islands on Lake Titicaca and a day hike on the Inca Trail through the Sun Gate to Machu Picchu. Tour Dates: Tours begin the first and third Saturday of every month between March – December. Custom Dates: We can also arrange custom charters for groups of 2 or more people depending upon permit availability. 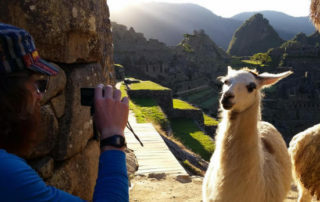 2018 Price: $1680 US pp double occupancy Single Supplement: $150 US See for yourself why the Peru Inca Trail to Machu Picchu is the most popular hiking trail in the Andes! This is a once in a lifetime experience. You’ll enjoy spellbinding mountain scenery, unforgettable Inca sites, abundant orchids and hummingbirds. We spend four full days walking to Machu Picchu, and a fifth day exploring in the famous ruins themselves. 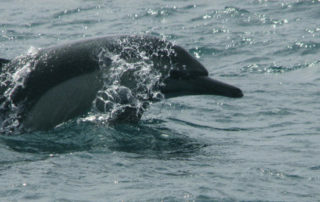 Tour Dates: Available as a Charter Tour beginning any day March 1 – December 31 for groups of 2 or more people. Shorter itineraries and extensions to the Amazon are available. Price: Price is dependent upon the number of people in the group and the number of days. Call us for a proposal. On the Machu Picchu, Cuzco, Arequipa, Colca Canyon and Lake Titicaca Tour is an exciting 12 day, action-filled walking adventure! Imagine yourself trekking to isolated Inca ruins along the spectacular Royal Inca Highway leading to Machu Picchu. 2019 Tour Dates: Jan 25 - Feb 4 (10 nights), Feb 1-11 (10 nights) Ask us about other Whale Watching and Sea Kayaking Tours! More departures Available. 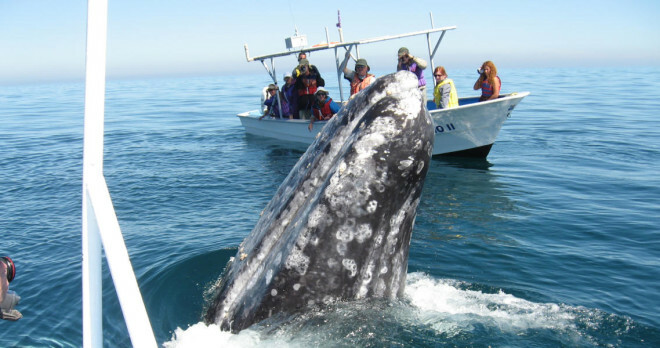 Get ready for the best winter get-away and most exciting natural history adventure of your life on our Baja Whale Watching and Sea Kayaking adventure! 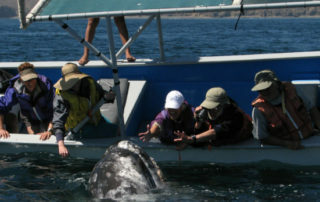 This tour combines the fun of sea kayaking in the Sea of Cortez with the excitement of encountering some of the largest mammals on Earth, the Pacific Gray whales, in Magdalena Bay on the Pacific Ocean side of the Baja Peninsula. 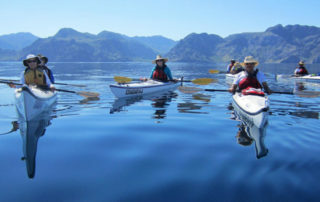 2019 Tour Dates: Apr 13-21, ***Nov 2-10 This tour is accompanied by Chuck & Judy Nichols*** & Nov 16-24 2019 Price: $1595 pp double occupancy On our Baja Sea Kayaking Island Hopping Tour, you will spend a week of paddling state-of-the-art sea kayaks, camping on shimmering white sand beaches, snorkeling with colorful tropical fish, sunrise fishing excursions, cocktails at sunset and the great food Baja is famous for. 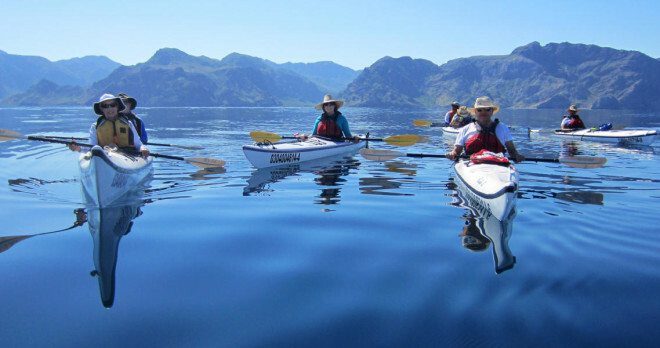 2019 Tour Dates: Apr 6-14, Apr 20-28, Nov 9-17, Nov 23-Dec 1 2019 Price: $1595 Euros pp double occupancy We invite you to join us on an exciting Baja Sea Kayaking exploration from Loreto to La Paz along the eastern shoreline of the Sea of Cortez. Tour Dates: Year-round 2018 Price: Call Us Single Supplement: $635 US The Big Island of Hawaii offers amazing cycling and walking opportunities through some of the most scenic and diverse countryside imaginable. 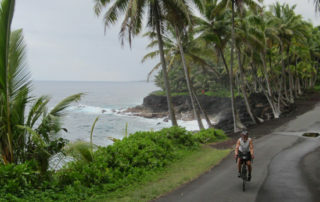 Hawaii’s fascinating landscapes, varied topography, excellent roads and perfect climate make the Big Island a winter cycling paradise and a year-round adventure destination. Charter Tours are available. 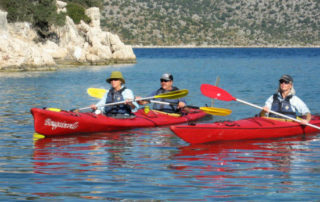 2019 Price: 3000 Euros per person / double occupancy Our Turkey Tour is an exciting Multi-sport Adventure in Turkey. The tour highlights include cycling along the exquisite southwestern coast, hiking to ancient ruins, sea kayaking and swimming in the Mediterranean Sea, and sailing on a traditional Turkish gulet. Tour Dates: 6 - 12 days, Apr – Oct 2018 Price: Call us Our Turkey Hiking Tour can be arranged for groups of 2 or more people in the spring, early summer and fall. This is a van supported hiking tour on a superb route that we selected especially for its beautiful vistas and uncrowded paths. 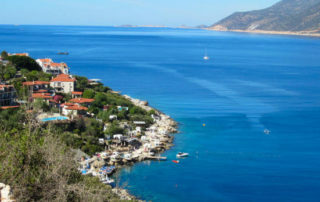 You’ll visit many small towns and a number of fantastic Greek, Roman, and Lycian ruins. Tour Dates: 8 Days, March - November 2019 Price: €1250 Euros pp double occupancy Single Supplement: €290 Euros This Self Guided Walking Tour is the perfect way to discover Catalonia’s fascinating history, culture and excellent cuisine. 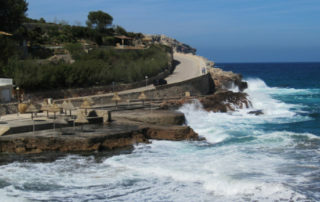 Visit medieval towns along the Mediterranean Sea with fantastic views of the small bays in the area. 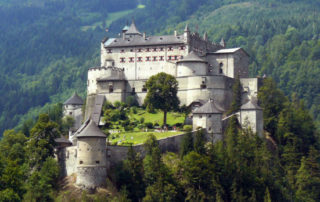 Tour Dates: 8 days Apr – Oct 2019 Price: €1000 Euros pp double occupancy Single Supplement: €280 Euros A magnificent combination of sea and mountains, alpine and coastal scenery, comfortable lodging in charming country inns, scrumptious food and good regional wines are a welcomed part of this self guided tour. 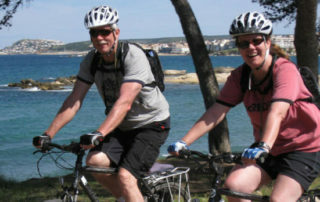 Tour Dates: 7 days, Mar – Nov 2019 Price: €1490 Euros pp double occupancy Single Supplement: €350 Euros Mallorca is an amazing island that is widely regarded as a cyclist’s paradise offering quiet roads, breathtaking panoramas, comfortable rural hotels, great food and wine and almost year round sunshine. 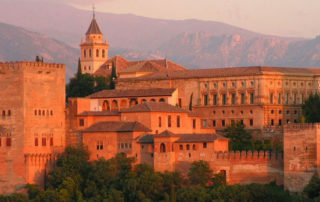 Tour Dates: 8 Days, Apr-Oct 2019 Price: €1100 Euros pp double occupancy Single Supplement: €300 Euros Tour price in July and August: €1200 Euros Single supplement in July and August: €450 Euros La Rioja Spain Bike Tours are self-guided or guided tours traveling through through the green pastures and beautiful valleys, on quiet roads from the mountains to the vineyards. Overnight in truly charming accommodations. Tour Dates: Year-round 2019 Price: €1050 Euros pp double occupancy Single Supplement: €210 Euros Enjoy a ride through some of the most dramatic landscapes to be found in Europe. Perfect climate year around for cycling – neither hot in summer nor cold in winter. Tour Dates: 8 Days, April to October 2019 Price: €1375 Euros pp double occupancy Single Supplement: €475 Euros We have 2 itineraries - 1 for Easy going cycling and 1 for more challenging cycling. Both have great scenery. 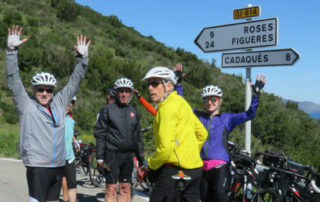 This tour is perfect for the rider who wants to visit one of Europe’s most beautiful locations, the breathtaking Costa Brava in the Catalonia region of northeastern Spain. Tour Dates: Charter Tours 2018 Price: Call us Spain’s legendary Andalusia is a picturesque land of mountains, flamenco & fantastic riding! On our Andalusia Bike Tour, you will be impressed by all the charming white villages, quiet roads, friendly people and a harmonious blend of multi-cultural traditions and architectural styles. 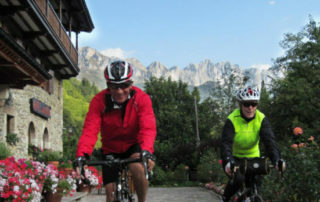 Tour Dates: Aug 30 – Sept 8, 2019 2019 Price: €2650 Euros pp double occupancy Single Supplement: €350 Euros * This tour will be accompanied by Chuck & Judy Nichols The tiny country of Slovenia is an undiscovered gem for biking. Nestled between the Alps and the Adriatic Sea, Slovenia has a wealth of uncrowded roads, wonderful walking trails, fantastic scenery and friendly people. 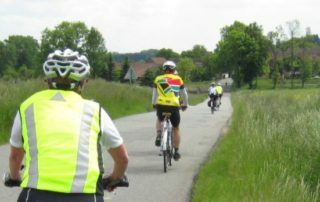 Tour Dates: 9 Days, Apr – Oct (shorter tours available) 2019 Price: €1250 Euros pp double occupancy Single Supplement: €260 Euros Our Slovenia Self Guided Bike Tour takes you on a north to south cross-country journey through some of Slovenia’s most scenic and historical places. 2019 Tour Dates: Apr 27 - May 5 2019 Price: €2,350 Euros pp double occupancy Single Supplement: €580 Euros On our Portugal Guided Bike Tours you will enjoy the warmth of the people as well as an incredible variety of breathtaking landscapes, historic fortresses, and typical and historical villages. 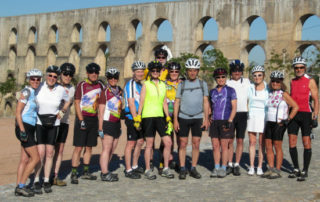 Tour Dates: Sept. 9 – 17, 2019 2019 Price: €2,700 Euros pp double occupancy Single Supplement: €350 Euros * This tour will be accompanied by Chuck & Judy Nichols Our Tuscany and Umbria Bike Tour will take you to the Italy of your dreams. 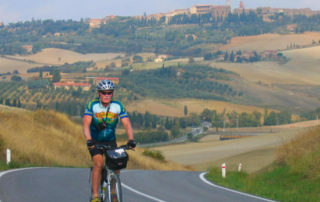 Beginning in Assisi, Umbria, this remarkable bicycle tour traverses a countryside rich in history and scenery. 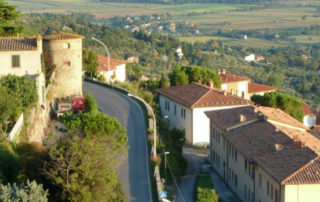 Tour Dates: March – November 2019 Price: €1275 Euros pp double occupancy Single Supplement: €300 Euros This unforgettable bicycle tour traverses Tuscany on quiet country roads that pass through vineyards and lead to historic medieval towns where history comes alive. 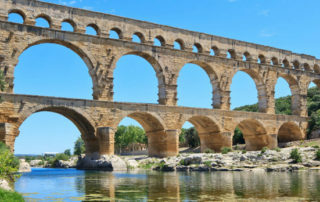 Tour Dates: Mid-March through Mid-November 2019 Price: €1200 Euros pp double occupancy Single Supplement: €275 Euros Pedal through olive groves and past vineyards, wonder at Etruscan burial chambers, Roman ruins and splendid churches. Pause in medieval villages perched on the hillside and lose yourself in the tales that ancient stones tell. 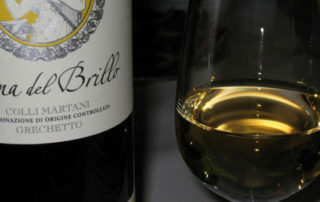 Tour Dates: Mid-March through Mid-November 2019 Price: €1200 Euros pp double occupancy Single Supplement: €250 Euros Tuscany is a charmed land of rounded hilltops covered with vineyards and acres of sunflowers bathed in pastel sunlight. 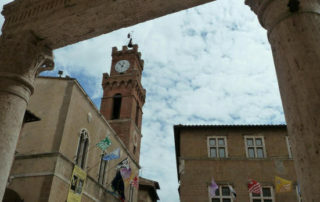 Tour Dates: Mid-March through Mid-November 2019 Price: €1150 Euros pp double occupancy Single Supplement: €250 Euros Our Umbria Walking Tour takes you through the Green Heart of Italy. We offer this tour as a Self Guided Walking Tour, and it may also be chartered as a guided tour for groups. Tour Dates: Mid-March through Mid-November 2019 Price: €1180 Euros pp double occupancy Single Supplement: €200 Euros On our Tuscany Self guided Walking Tour you will follow timeless walking paths through the landscape that has inspired travelers for centuries. We offer this tour as a Self Guided Walking Tour, and it may also be chartered as a guided tour for groups. Tour Dates: April through October 2019 Price: See Details Starting from Venice, one of the most beautiful towns in the world, this itinerary winds its way along the Mincio and the Po, following the natural course of the longest Italian river. 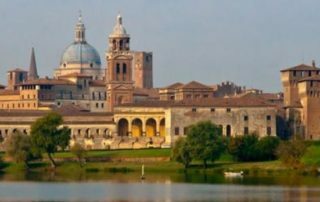 After a wonderful trip from the countryside of the Po Delta the tour finishes in the enchanting Renaissance town of Mantova. Tour Dates: Mid March through October 2019 Price: €1300 Euros pp double occupancy Single Supplement: €560 Euros Veneto Self Guided Bike Tour is an easy-paced cycling tour on flat roads and bike paths with hotel accommodations. This Self-Guided Tour lets you ride at your own pace with a map and detailed route book. Tour Dates: Mar-Jun & Sept-Nov 2019 Price: €1375 Euros Single Supplement: €350 Euros The views change daily in this uncrowded, enchanted landscape of Greek temples, hilltop castles and white sand beaches bordered by seaside cliffs. 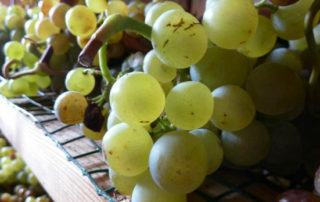 As you make your way inland to the interior of the island, you find rolling hills with broad valleys of wheat, groves of olive trees and endless vineyards buzzing with activity during the harvest. 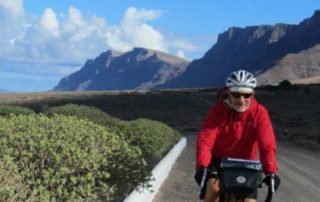 Tour Dates: Charters Available Mar-Jun & Sept-Nov 2018 Price: Call Us The Bicycle Tour of Sicily tour promises to be a tasty combination of cultures wrapped in the magic of the Mediterranean. 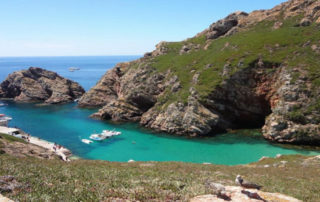 Tour Dates: Year-round 2019 Price: €1450 Euros pp double occupancy Single Supplement: €280 Euros Sardinia Bike Tours are available as Guided, Self-Guided or Charter Bike Tours. 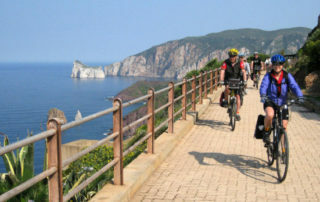 This unforgettable Italy bicycle tour traverses the west coast of Sardinia. 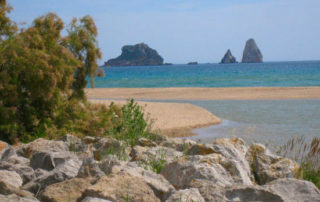 Tour Dates: Mar-June & Sept-Nov 2019 Price: €1350 Euros pp double occupancy Single Supplement: €300 Euros This is a beautiful self-guided cycling trip through the region of Puglia, Italy, which lies in the heel of the boot, along the sun-drenched Adriatic Sea. 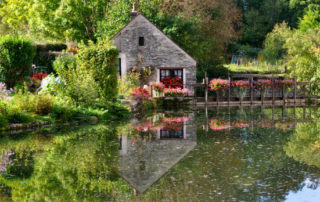 Tour Dates: April – October 2019 Price: From €1250 Euros pp double occupancy Experience the beauty and flavor of France’s fabulous scenery, cultural heritage, and incredible food and wine at your own pace. 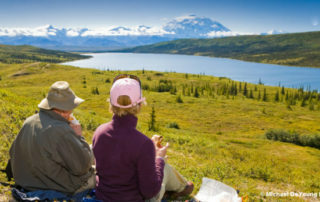 These are perfect active vacations for individuals, couples, and groups of family and friends! 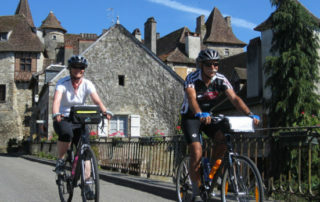 Tour Dates: April – October 2019 Price: From €1880 Euros pp double occupancy Single Supplement: €410 Euros Our Dordogne Bike Tours are Self Guided Bike tours that offer the best in a French cycling vacation: history, castles, beautiful vistas, quiet country roads, and world-renowned cuisine and wine. 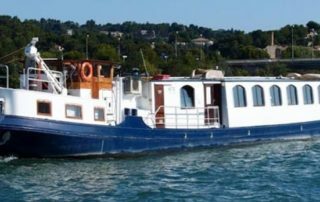 2019 Tour Dates: Saturday Departures, April 4 to October 19 2019 Price: €1130 Euros/pp double occupancy, Value Season On our Provence Bike & Boat Tour, your accommodation is a very comfortable live-aboard Barge. 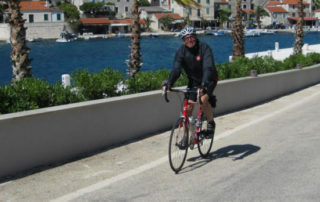 This tour is available as both a guided or self-guided bike tour. This is an easy tour mainly on bike paths and country roads with little traffic. Tour Dates: April – October 2019 Price: €1450 Euros/pp double occupancy Single Supplement: €420 Euros Discover the light, scents, colors and tastes of Provence through this self-guided bike tour that will take you on an exploration of Provence’s beautiful towns and villages. You stay in charming hotels. 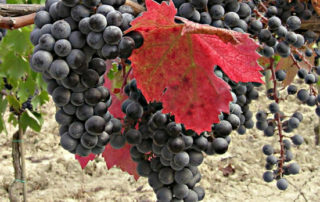 This tour can also be chartered as a guided tour. 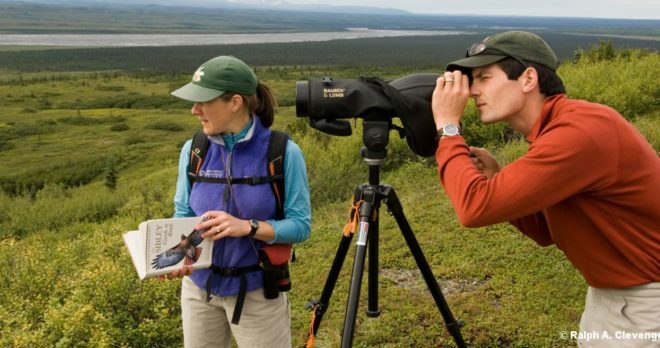 Camp Denali Wilderness Lodge lies within a vast wilderness of snow-clad mountains, lake-studded tundra foothills and forested river valleys make up Denali National Park and Preserve. 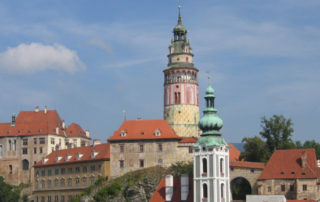 Tour Dates: April through October 2019 Price: €1390 Euros pp double occupancy Single Supplement: €350 Euros Our Czech Republic Self Guided Walking Tours will introduce you to one of the prettiest and most historically significant regions in Central Europe. Beginning in Vienna and ending in Prague, this exceptional route passes through a region filled with stunning castles and old world charm. 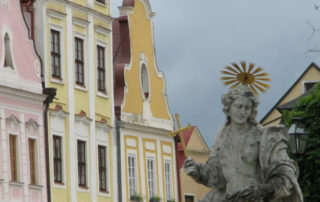 Tour Dates: May 4-11, June 16-23 (includes Five-petalled Rose Festival), Aug 17-24, Sept 22-29 (includes St. Wenceslaus Festival) 2019 Price: €2,140 Euros/double occupancy, group size 4-7 people, €1,940 Euros/double occupancy, group size 8+ people Single Supplement: €350 Euros This hike will take you through one of the prettiest and most historically significant regions in Central Europe. Tour Dates: April – October 2019 Price: €1490 Euros pp double occupancy Single Supplement: €350 Euros Ride at your own pace through a lush countryside of picture perfect farms, inviting lakes and cool shady forests. 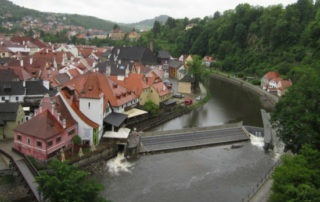 Your overnight lodgings are in picturesque medieval towns. 2019 Tour Dates / Version A: June 15-22, July 13-20, August 10-17. September 6-13, Version B: May 6-13, June 17-24, August 5-12, September 8-15 2019 Price: €2240 Euros/double occupancy, group size 4-7 people, €2040 Euros/double occupancy, group size 8+ people Single Supplement: €350 Euros Cycle from Vienna to Prague with an experienced bike guide and enjoy rural beauty, uncrowded roads, medieval castles and UNESCO World Heritage towns. 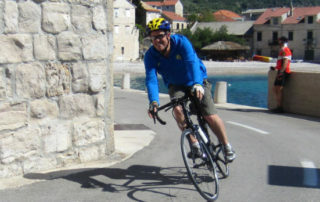 Tour Dates: April through October 2019 Price: see details We offer 2 variations of our Croatia Self Guided Bike Tours of the Dalmatian Coast. 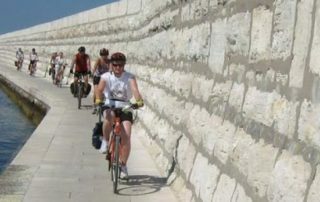 Both Croatia Self Guided Bike Tours feature the most beautiful areas along the Croatian coast with quiet roads, ancient villages, lavender fields and UNESCO World Heritage sites. 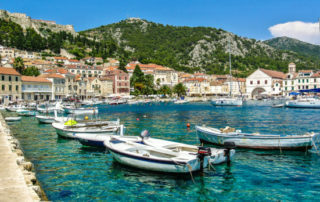 Our Croatia Bike & Boat Tour will introduce you to a fantastic island paradise of uncrowded roads, quaint seaside towns and the fun of a live-aboard motor yacht. This is a biking paradise of rolling green hillsides speckled with wildflowers and paved roads with very little traffic. Tour Dates: April through October 2019 Price: €1090 - €1340 Euros pp double occupancy (prices vary based upon month and level of accommodations that you choose. 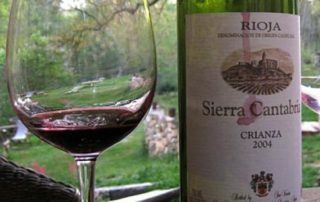 Single Supplement: €305 - €490 Euros Our Croatia Self Guided Walking Tours will introduce you to Split and the picturesque islands of Brac, Hvar and Korcula and a grand finish in Dubrovnik. 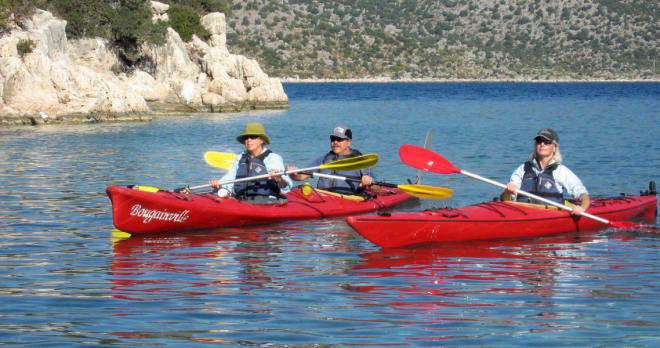 Tour Dates: April through October 2019 Price: Depends on size of group, hotels used, dates Our Croatia Multi-sport Tour is perfect for small groups (4 or more) of people who want a custom tour to suit their interests. 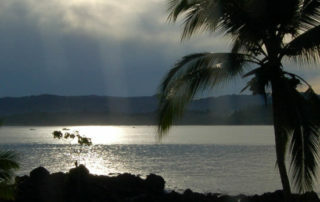 Daily, you choose from cycling, hiking, swimming, snorkeling and site seeing activities. 2019 Tour Dates: June 3-10 & August 19-26 2019 Price: €2240 Euros/4-7 pp double occupancy, €2040 Euros/8+ pp double occupancy Single Supplement: €350 Euros Ride with a guide and the region will come alive. Each day you will be singing the theme song from The Sound of Music as you enjoy the easy riding, smooth trail surface and stunning beauty of the mountains and towns you pass through. 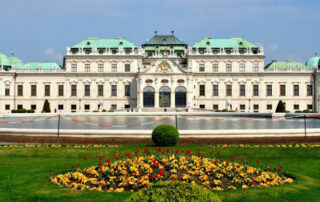 Tour Dates: 8 Days, April – October 2019 Price: €1490 Euros/pp double occupancy Single Supplement: €350 Euros Our Self Guided Danube Bike Trail Tour takes you from Passau, Germany to Vienna, Austria, and is one of Europe’s most scenic and famous cycling trails. The route is perfect for a Self Guided Bike Tour. 2019 Tour Dates: July 8-15 & September 9-16 2019 Price: €2240 Euros/4-7pp double occupancy, €2040 Euros/8+pp double occupancy, Single Supplement: €350 Euros Our Self Guided Danube Bike Trail Tour with our professional bilingual guide takes you from Vienna, Austria to Budapest, Hungary. 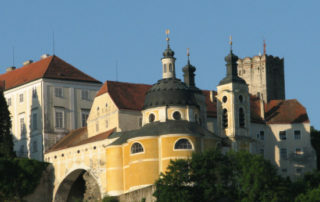 Tour Dates: 8 Days, Tour can begin any day of the week from April - October 2019 Price: €1490 Euros pp double occupancy Single Supplement: €350 Euros Our Self Guided Danube Bike Trail Tour takes you from Vienna, Austria to Budapest, Hungary cycling in 3 different countries – Austria, Slovakia and Hungary. Tour Dates: 9 days, Apr, May, Sept & Oct 2019 Price: €1120 Euros pp double occupancy Single Supplement: €140 Euros Our Albania Self Guided Bike Tour is wild, beautiful and definitely off the beaten track! The tour route highlights the fascinating culture and natural beauty of southern Albania. 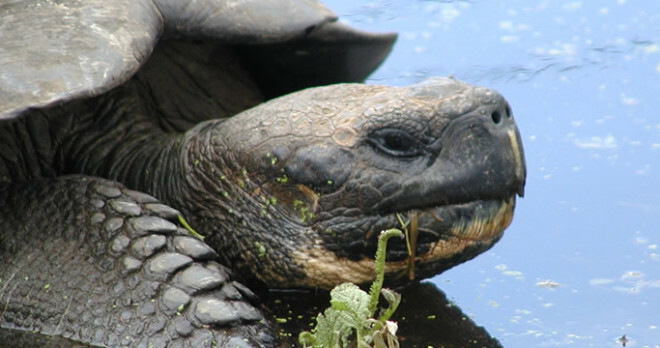 Tour Dates: Year-round 2019 Price: From $3,500 per person The Galapagos Islands Wildlife Tour is one of our most popular tours for wildlife viewing ! 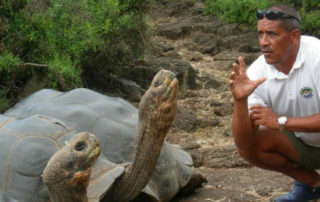 You will be living aboard a comfortable yacht and cruising through the Galapagos archipelago from island to island. Daily walking and snorkeling journeys will bring you up close to an array of unique, indigenous animals – giant tortoises, blue footed boobies, curious marine iguanas and playful sea lions. Tour Dates: Year-round 2019 Price: $1850 /per person Single Supplement: $720 Costa Rica Tours have it all – whitewater rafting, uncrowded beaches, snorkeling, sea kayaking, rain forest tours, canopy tours and unique wilderness lodges. 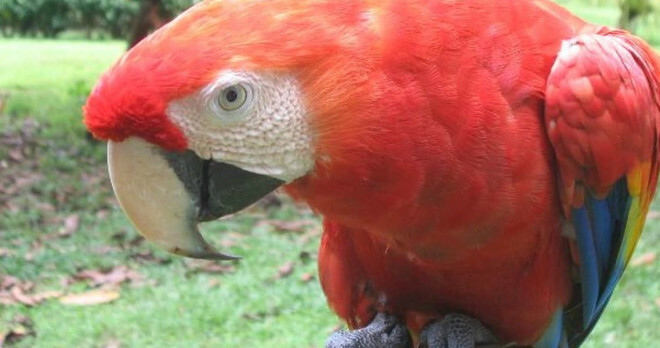 Costa Rica Tours are perfect vacations for families, couples and single travelers. 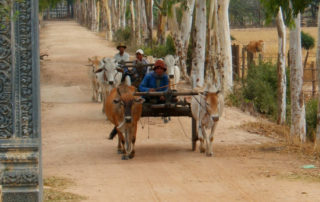 Tour Dates: October – April 2016 Price: $5400 US pp (2-3 people) Price: $5100 US/pp (4-7 people) Price: $4800 US/pp (8+ people) Our Bike Tour of Vietnam and Cambodia combines two wonderful cycling destinations in Southeast Asia. You will delight with the diverse beauty, exotic culture, ancient history, and extraordinarily friendly people. Our South Africa Cycling Tour will introduce you to a spectacular region filled with beauty and surprise. From the majestic coastal roads of the cape to the vineyards of the interior, South Africa is wildly diverse and rich in natural attractions. 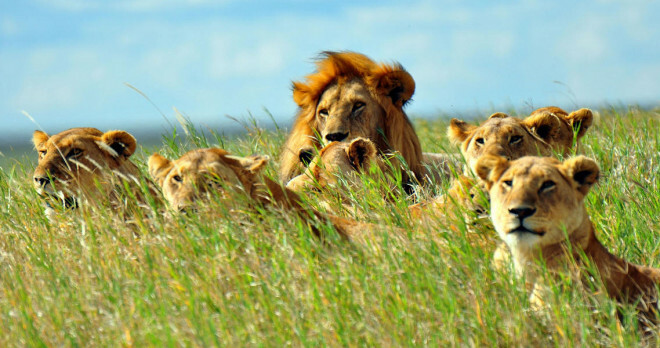 Tour Dates: Year-round 2019 Price: Call Us We offer an African safari tours in Uganda and Rwanda. 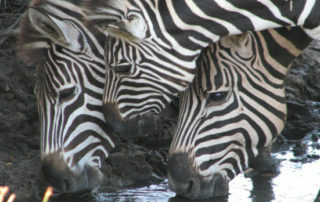 Uganda, where the East African savanna meets the West African jungle, is the “pearl of Africa”. 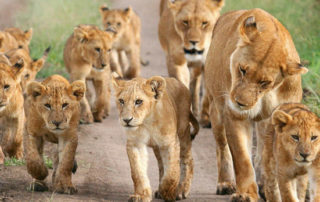 Its incomparable natural beauty encompasses a host of different ecosystems, and the variety of animals is staggering! 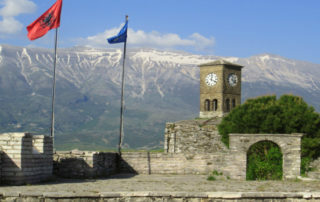 Tour Dates: 9 Days, Apr 7-15, 2019 2019 Price: €1850 Euros pp double occupancy Single Supplement: €250 Euros * Tour will be accompanied by Chuck & Judy Nichols On our Albania Guided Bike Tour you will be introduced to the fascinating culture and natural beauty of one of Europe’s most interesting and off-the-beaten-path cycling destinations.